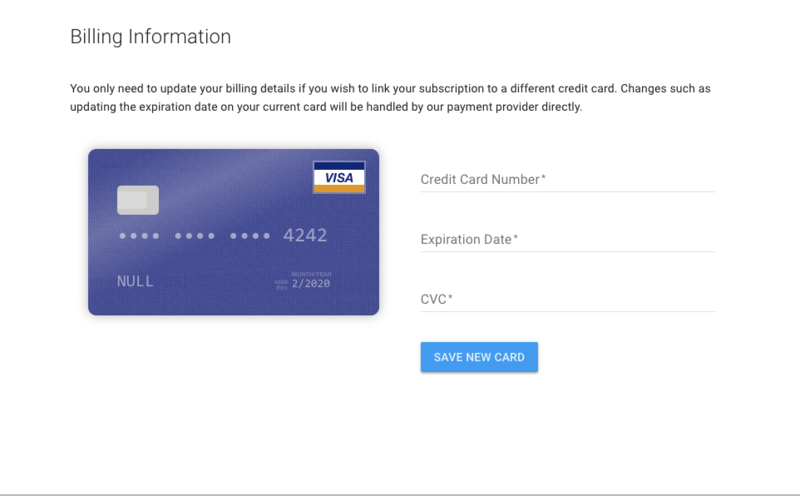 To change the credit card linked to your subscription, click here. Note that your existing card details (e.g. expiry date) get automatically updated by our payment processor. You should only change your billing details if you want to add a new card with a different number.